INCA’s QUEST is an adventure game. The player’s goal is to solve puzzles leading to an ultimate goal. Each puzzle is in a separate game. Understanding the point of view of other person. You can download it freely from Google Play. An English, Dutch, Bulgarian, Lithuanian, Turkish, Serbian and German version is available. The SGSCC (Serious Games for Social & Creativity Competencies – 531134-LLP-1-2012-1-BG-KA3-KA3MP) project has been partially funded under the Lifelong Learning program. Inca Island is a desktop game. 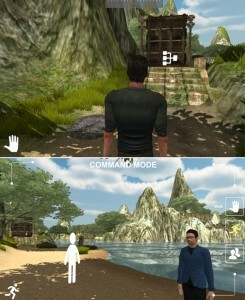 The game is a first person role-playing multiplayer adventure game. The player works with an artificially intelligent non-player-character (NPC), to solve puzzles leading to an ultimate goal. Each puzzle is in a separate room, where solving the puzzle will allow the players to progress together to the next room. The puzzles are broken down into groups to address different social competences identified in the research period. You can download the latest version freely from the SGSCC servers. An English, Dutch, Bulgarian, Lithuanian, Turkish, Serbian and German version is available.